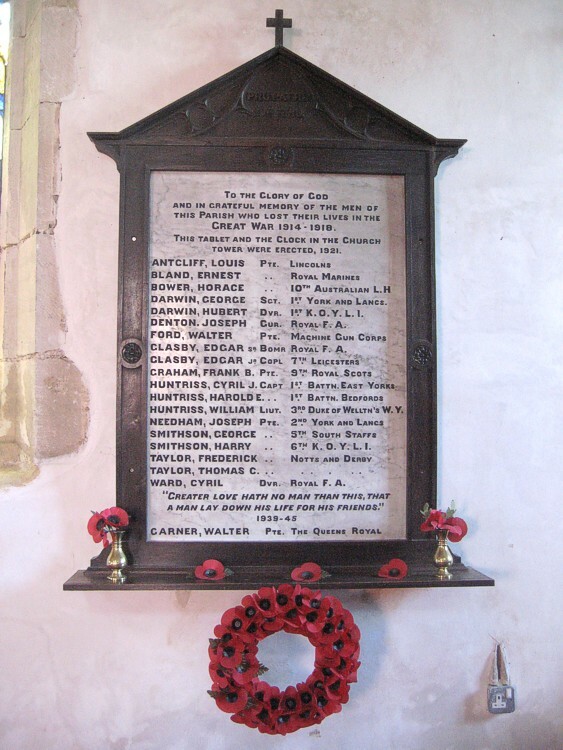 The principal War Memorial consists of a marble tablet mounted on the south aisle wall. 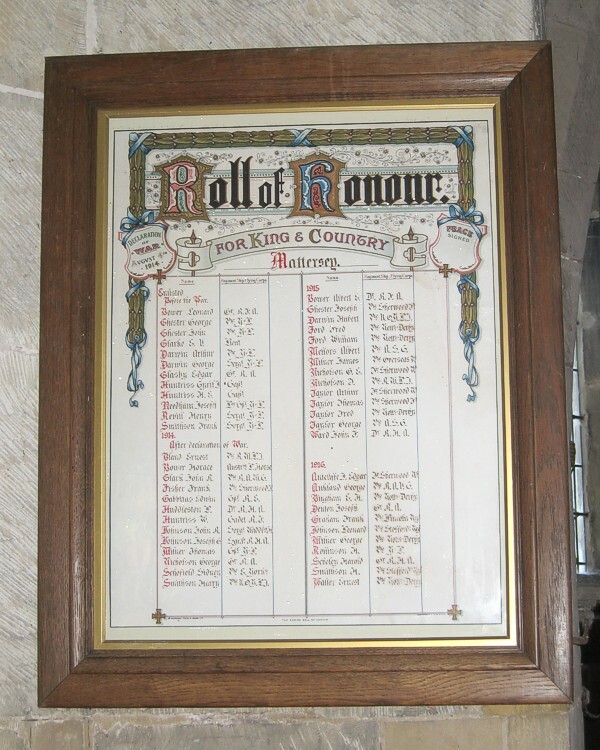 A Roll of Honour, listing all those who volunteered for war service is on display by the tower. A 3-light memorial window is dedicated to the three Huntriss Brothers who were all killed in the First World War. The clock was added to the tower in 1921 as an additional memorial. GREAT WAR 1914 - 1918. DARWIN, GEORGE SGT. 1ST YORK AND LANCS. DARWIN, HUBERT DVR. 1ST K.O.Y.L.I. DENTON, JOSEPH GUR. ROYAL F.A. GLASBY, EDGAR SR BOMR ROYAL F.A. HUNTRISS, HAROLD E. . .
HUNTRISS, WILLIAM LIUT. 3RD DUKE OF WELLTN’S W.Y. NEEDHAM, JOSEPH PTE. 2ND YORK AND LANCS. SMITHSON, GEORGE . . 5TH SOUTH STAFFS. SMITHSON, HARRY . . 6TH K.O.Y.L.I. TAYLOR, THOMAS C. . . . . . . .
WARD, CYRIL DVR. ROYAL F.A.